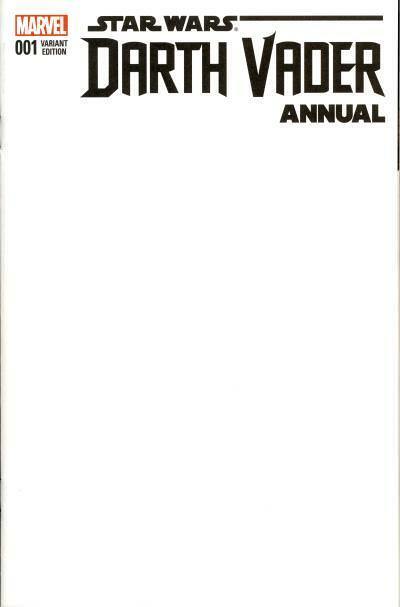 Dark Horse published four comic-sized handbooks. 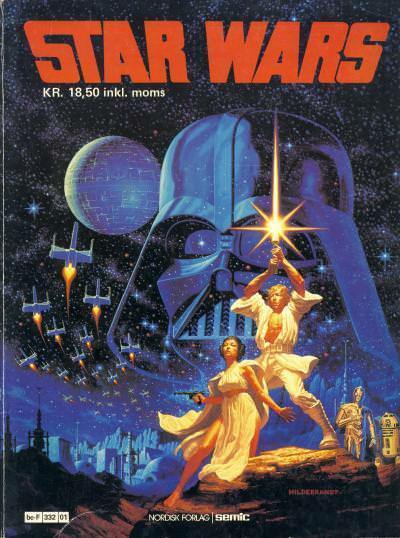 The first handbook was published toward the end of the X-Wing Rogue Squadron title and focused on that title, while the next two handbooks, Crimson Empire and Dark Empire, were published after those series had ended. Dark Horse must have felt a primer on these titles would help sell more trade paperbacks. A fourth handbook, for Knights of the Old Republic, was published almost two years after that title had started. Handbook Volume 1: X-Wing Rogue Squadron contains entries for both the heroes and villains in the series. Using an encyclopedia format, most of the entries are prose accompanied by artwork, although not every character has a picture. 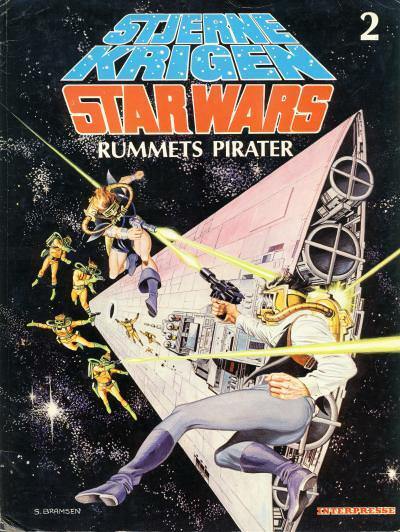 In addition to the characters, there are many entries for the main spaceships found in the series. While this handbook is not necessary to enjoy the title, it does provide additional background material and does a decent job of augmenting the stories. 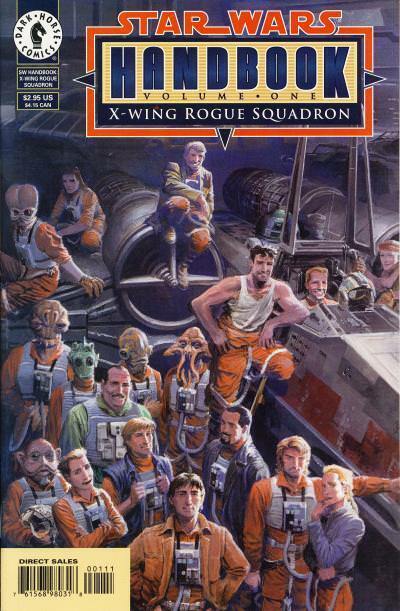 The cover shows the members of Rogue Squadron posing with an X-Wing Fighter. 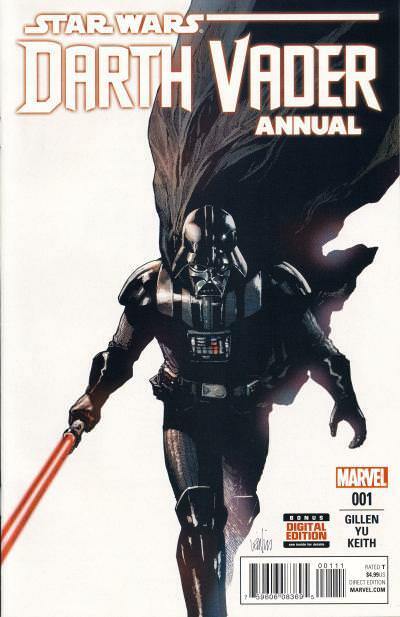 Both Star Wars Annual #1 and Darth Vader Annual #1 were published in December 2015 and introduce new characters that would appear in the ongoing titles following the Vader Down story arc. 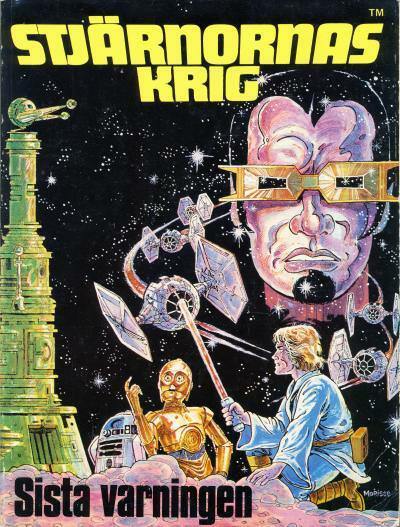 Eneb Ray, introduced in Star Wars Annual #1, is the main antagonist in the Rebel Jail story told in Star Wars #16 - 19. Darth Vader Annual #1 has the first appearance of Queen Trios, who next appears in The Shu-Torun War story arc in Darth Vader #16 - 19. Unlike Eneb Ray, who has yet to reappear in a Star Wars title, Queen Trios is seen again in The Ashes of Jedha arc in Star Wars #38 - 43. Queen Trios is first introduced as Princess Trios, the youngest child of the King of Shu-Torun, in Darth Vader Annual #1. Shu-Torun is an ore-rich world whose mining production is important to the Empire. 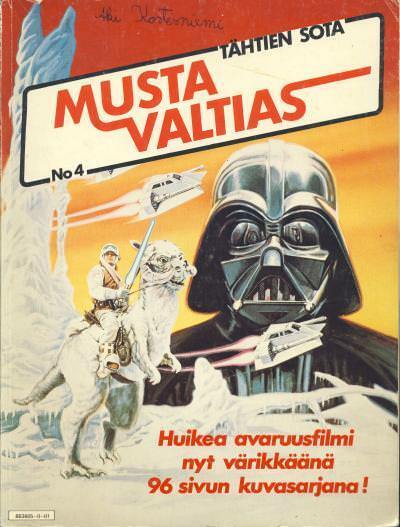 Darth Vader travels to the planet to ensure the Empire's increased quota is fulfilled. Vader is met on the landing platform by Princess Trios. Vader is carrying a gift which he intends to give to the King himself and Trios leads him to a celebration ball arranged by the King. 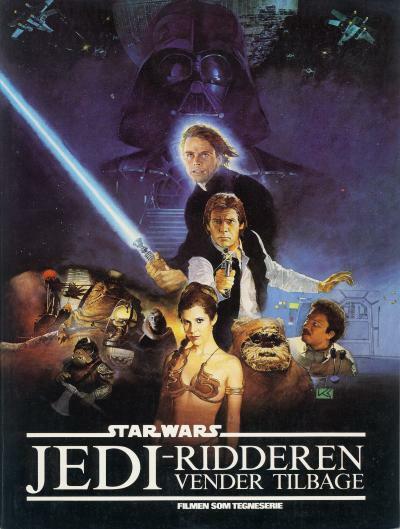 At the celebration, Vader is attacked by assassins and demands Trios takes him to her father. Vader knows the assassins were sent by the King. 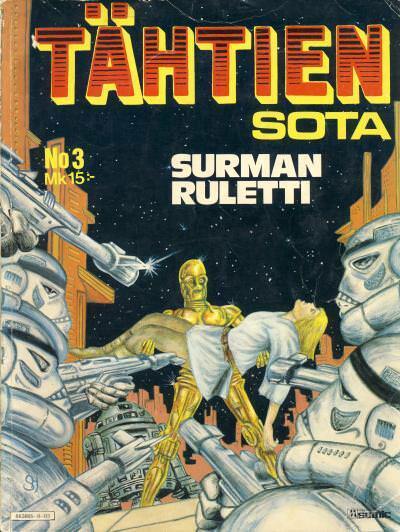 Meanwhile 0-0-0 and BT-1, who traveled to the planet with Vader, are also on their way to the King's throne room. 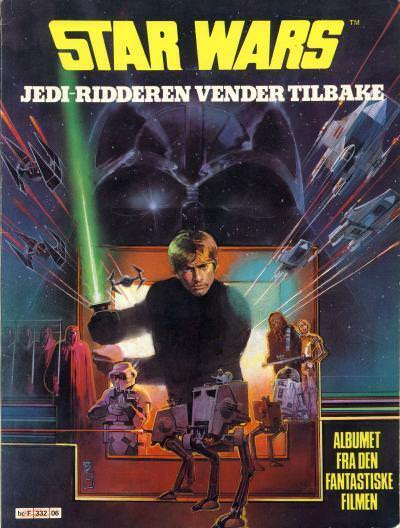 Trios leads Vader into a trap meant to kill them both, but Vader escapes carrying the now unconscious Princess Trios. 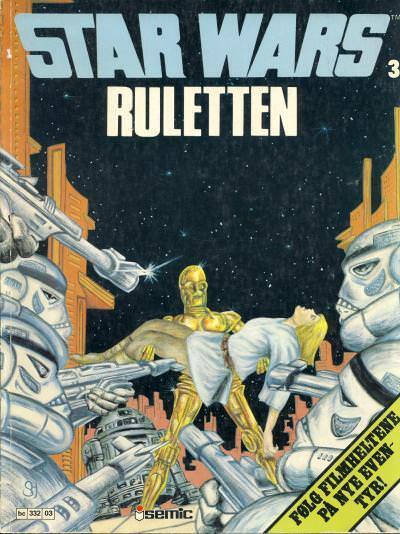 Outside the throne room, Vader wakes Trios who sees that Vader has killed the guards. She raises a pistol to shoot Vader in the back, but he cuts off her hand with his lightsaber before she can pull the trigger. As the pair enter the throne room, we learn that 0-0-0 and BT-1 has killed the King, his two older children, and additional guards. Vader then gives the gift to a distraught Trios as Vader explains it is "a small reminder of what happens to worlds who resist the Emperor." It is a rock from Alderaan. 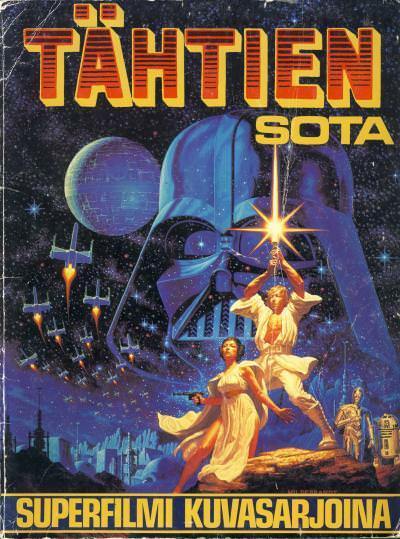 Vader then crowns Trios, declaring her the ruler of Shu-Torun. In The Shu-Torun War story arc, Queen Trios has embraced her role as ruler of Shu-Torun. She enlists the aid of the Empire, led by Darth Vader, to help quell a rebellion by the ore barons. In The Ashes of Jedha, Queen Trios is assisting the Empire with mining Kyber from the remains of the planet Jedha. She employs the Leviathan, a monstrous ship used to excavate ore from planets. In the final chapter of the story, Star Wars #43, we learn she leaked the plans for the Leviathan to the Rebels and her planet has been stockpiling resources that are not part of the Empire's tithe which she offers to Princess Leia. 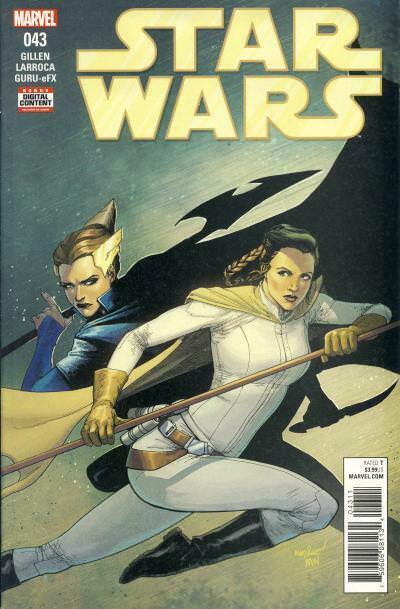 Despite her earlier appearances, Queen Trios' first cover appearance is on Star Wars #43. 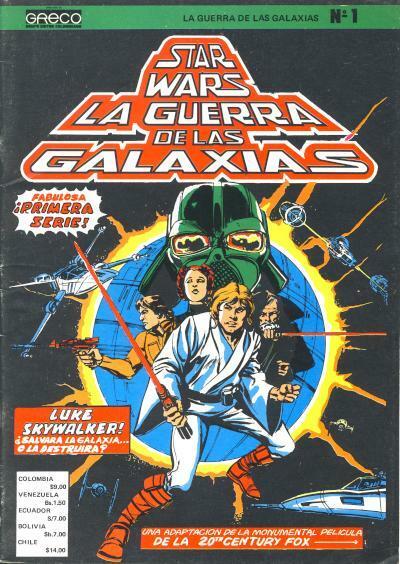 Mile High Comics has published an exclusive cover for every issue of the main Star Wars title. 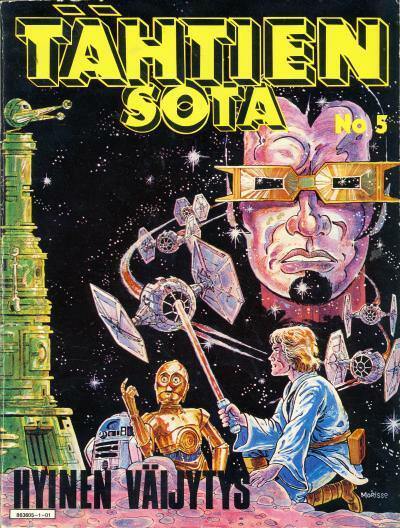 Most of the covers are part of a set, but not their exclusive cover for Star Wars #15. 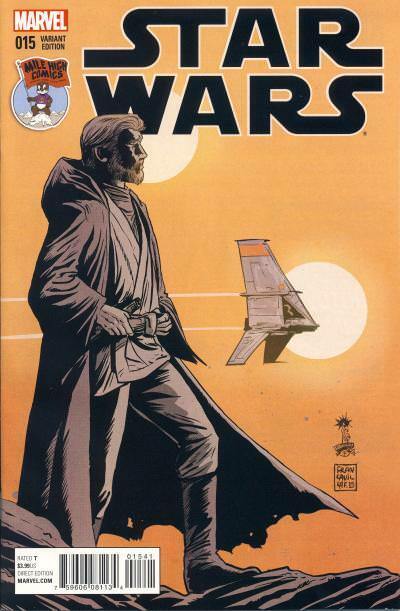 Star Wars #15 is the second standalone story, after Star Wars #7, that tells a tale of Obi-Wan Kenobi on Tatooine. 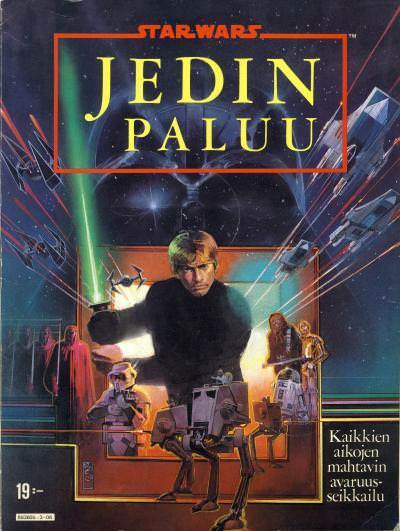 The premise behind these stories is Luke Skywalker is reading these tales in Obi-Wan's journal. The Mile High Comics exclusive cover shows Obi-Wan Kenobi overlooking Luke piloting his T-16 Skyhopper. In the story, Luke races into Beggar's Canyon, clips the edge of the canyon, and damages the speeder while Obi-Wan watches from afar. 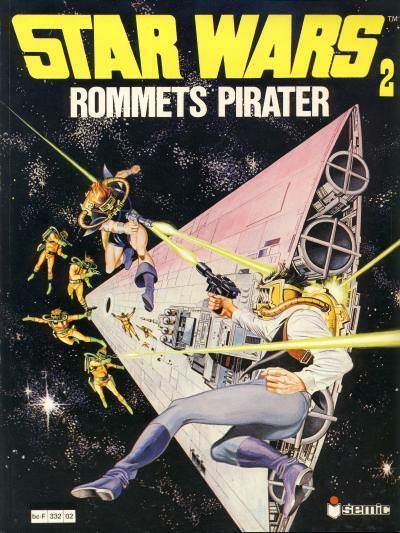 The Swedish media company, Bonnier Group, owned several publishing companies in 1978, including Semic Press, Sweden's largest publisher of comics. Semic Press published titles in various European countries besides Sweden, including the Nordic countries of Finland and Norway. 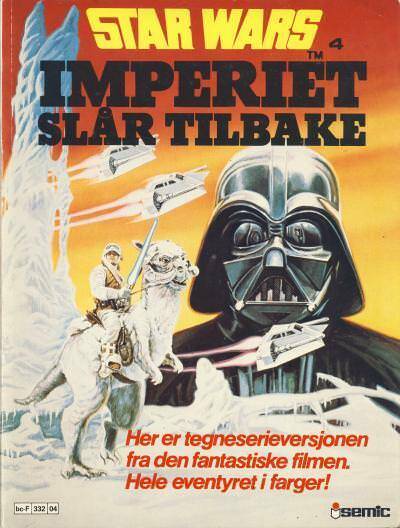 Bonnier Group was also a partial owner of Denmark's largest comic publisher, Interpresse. 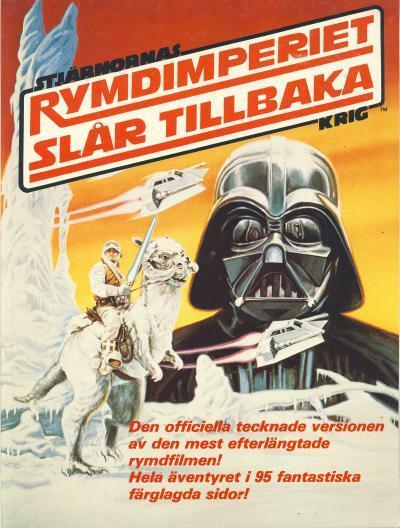 Star Wars was released to these four Nordic countries in December 1977. 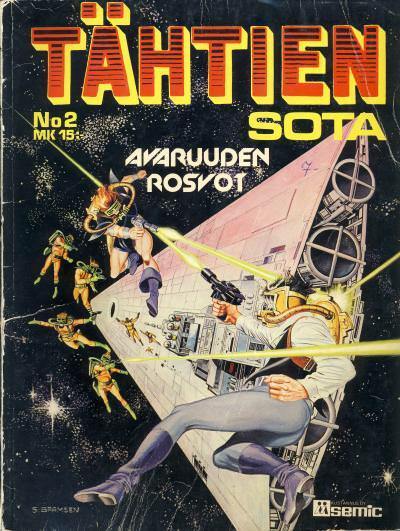 In 1977, Semic Press published an album or trade paperback collecting Marvel's 6-issue adaptation of the movie for Swedish, Finnish, and Norwegian readers, while Interpresse published the album for Danish readers. 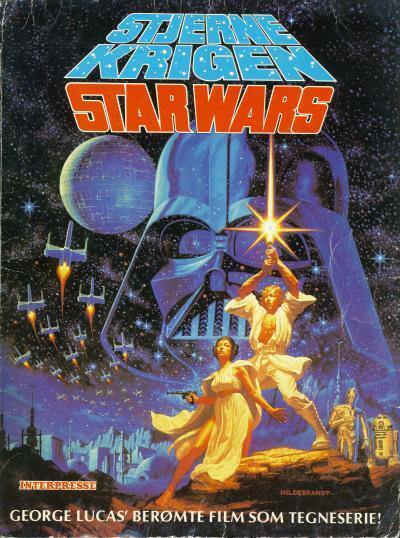 Additional albums were released from 1977 - 1981, translating many of the U.S. Star Wars stories up to the Empire Strikes Back adaptation. 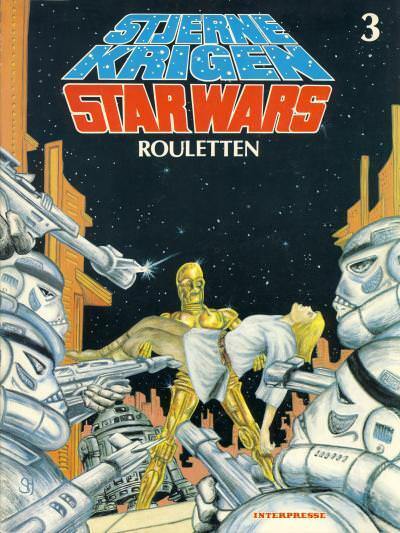 In 1983, a sixth album, containing Marvel's Return of the Jedi #1 - 4 was also released. None of these editions claim to be the sixth album, but the size of them make it easy to see they were meant as a continuation of the previous albums. 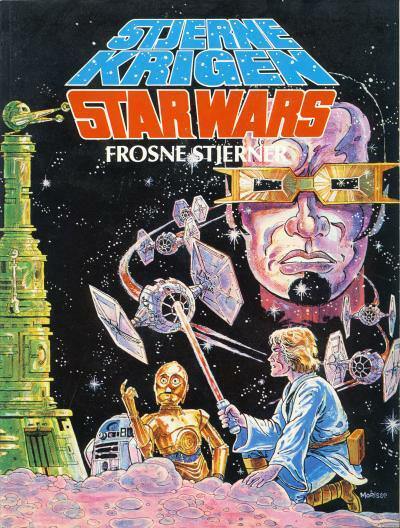 By this time, Marvel's Star Wars issues were being translated in more traditional sized comic books for these countries and no album was published in subsequent years. 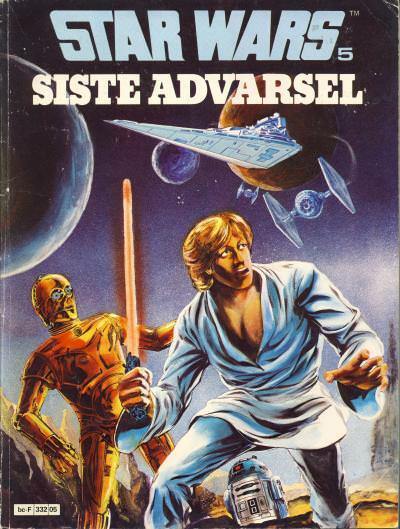 Early on, the Star Wars title was translated into the language for the country the comic were released in, but by the late 1980s, the English Star Wars would become standard in countries that did not speak English. 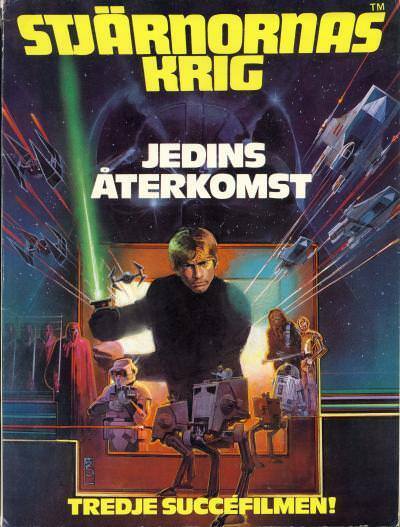 When looking at the titles on the album covers, it is easy to see this consolidation starting in the early 1980s, although Sweden was a holdout, using the title Stjärnornas Krig for all six albums. 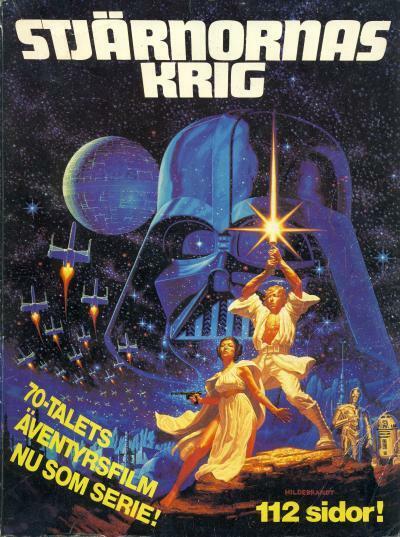 The same covers were used for all four countries for the first four albums, but for the fifth album, Norway does not use the artwork by the Swede Bjørn Morisse. 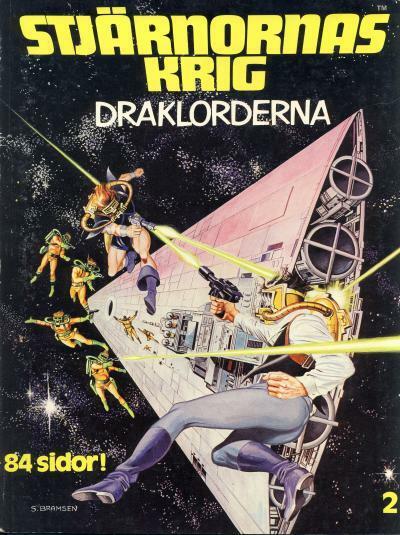 Additionally, Denmark uses the artwork from the Return of the Jedi style "B" poster instead of the art used for Marvel Super Special #27 for the sixth album. 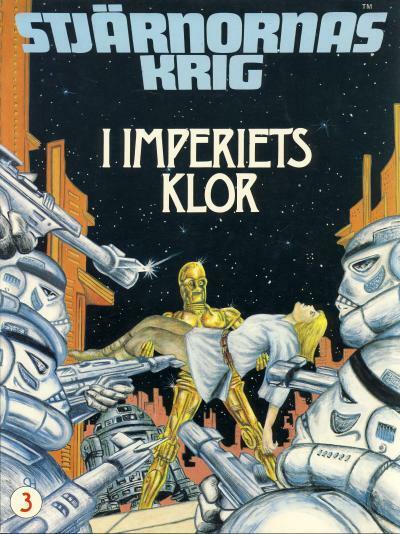 Some of the first elusive international Star Wars comics that I remember seeing are these Nordic albums. I have been working on putting together the set for a few years and I am happy to finally be able to present all 24 albums together. 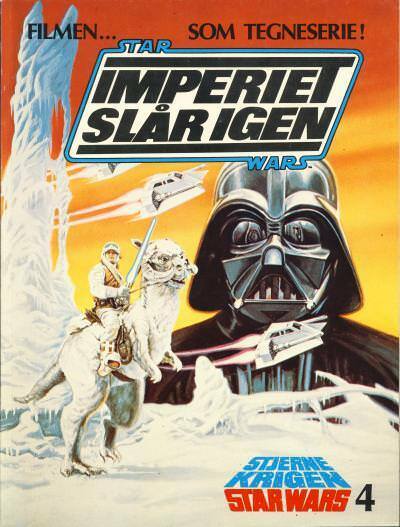 For me, the Swedish albums were the easiest to acquire. The last albums I needed to complete the collection were the first two albums from Norway. This aligns with the populations of those countries in 1978; Sweden had the largest estimated population with 8.276 million people, followed by Denmark with 5.104 million people and Finland with 4.753 million people. Norway had the smallest estimated population with 4.059 million people which is less than half the population of Sweden in 1978.